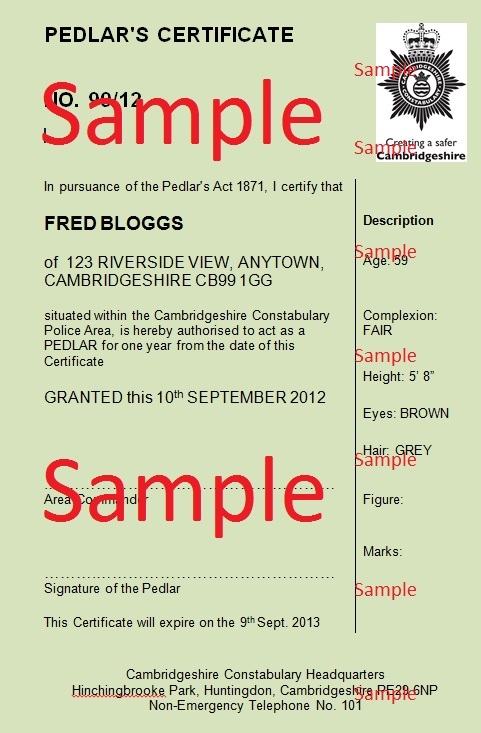 Pedlars – Always check for a certificate. This week one of my crime prevention visits has been to see a resident who became a victim of theft in his own home. Having been visited by a door step sales person the resident let the male into his house to use the toilet. Sadly the male stole the residents wallet whilst in the house. Sgt Rogerson wrote an article back in May about door step sales people, pedlars and rogue traders: http://wp.me/p2IjDj-3v South Cambs has regular visits by groups of so called “Hawkers” selling items like dusters and cloths door to door. Any one doing this must have a licence, and my Police colleagues inform me it’s actually quite rare to find people with any licence at all. I’ve included a picture in this blog post of a sample licence. These look slightly different depending on which Constabulary has granted the certificate, but should all contain the same information and signature of a senior officer. (A certificate is valid anywhere in the UK regardless of the issuing Constabulary). If you are visited by an unlicensed door step sales person please do not buy from them, and call 101 to alert Police. Trading without a licence is a criminal offence and those caught will be put before the courts by our Police team. I was able to re-assure the gentleman regarding the frequency of these type of offences as they are quite rare. 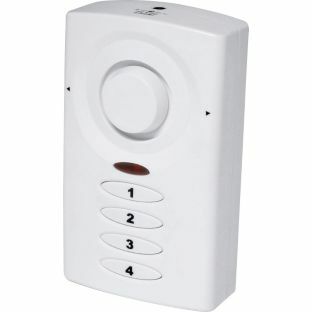 The Bobby Scheme also attended at the time of my visit to fit some simple security devices such as door-chains, window and door alarms and a key safe so that regular genuine callers could enter and leave leaving the property secure. It is often the case that those who are targeted by doorstep callers are more vulnerable due to mobility problems or age, and are more likely to trust someone calling at their doorstep.